No doubt about it, St. Louis has a wealth of interesting and beautiful homes, not to mention historic neighborhoods. 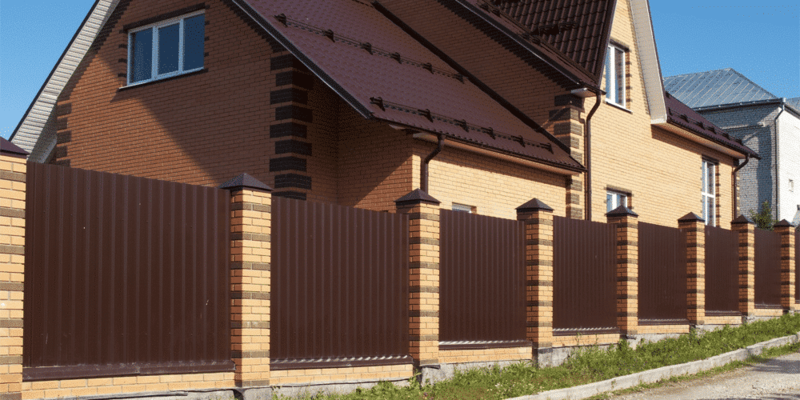 As a premier St. Louis Fence Company, we’ve been able to see many of these houses up-close. Privacy fencing can be an important part of your home and property. Not only does it contribute to your peace and security, it can also increase the value of your home. 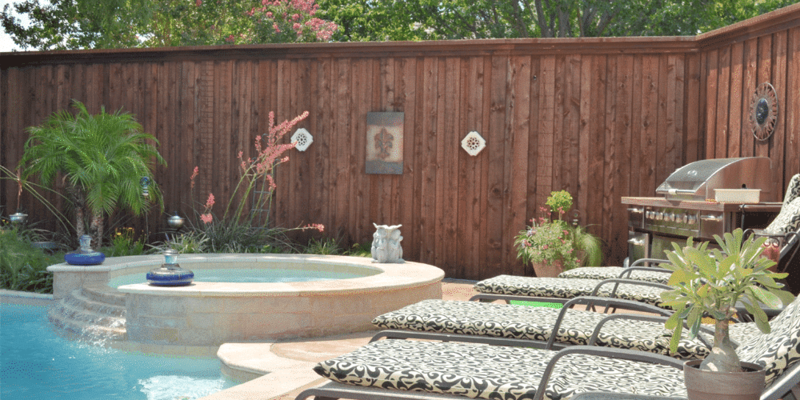 Here we have some privacy fence ideas to get you started, as well as what to look for in privacy fence installation. Sometimes, you don’t want to put a huge investment into a fence. 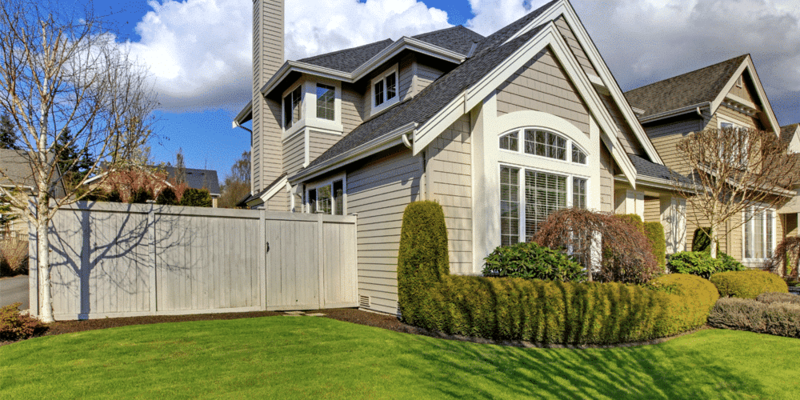 Maybe an expensive fence is outside your budget, or maybe you’re looking for something to quickly and easily improve the value of a home you are selling. If this is you, you are in the market for value fencing. Looking for a fence for your yard that adds a touch of character without the need for constant maintenance? 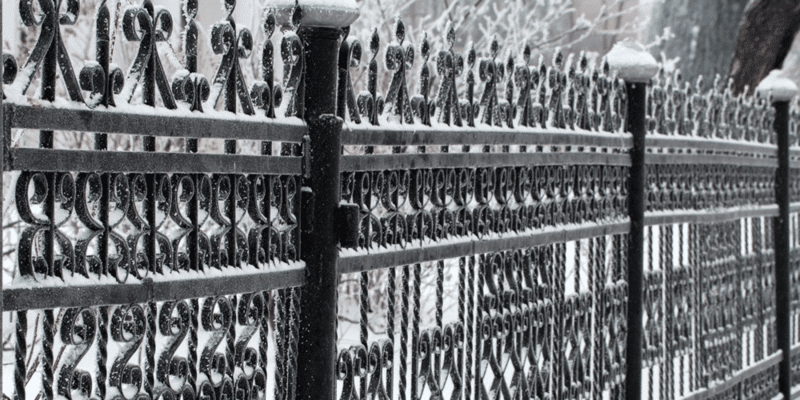 Ameristar fence products from Maintenance Free Outdoor Solutions offer all the luxury and durability of ornamental wrought iron fences—but without the high cost and time-consuming maintenance. 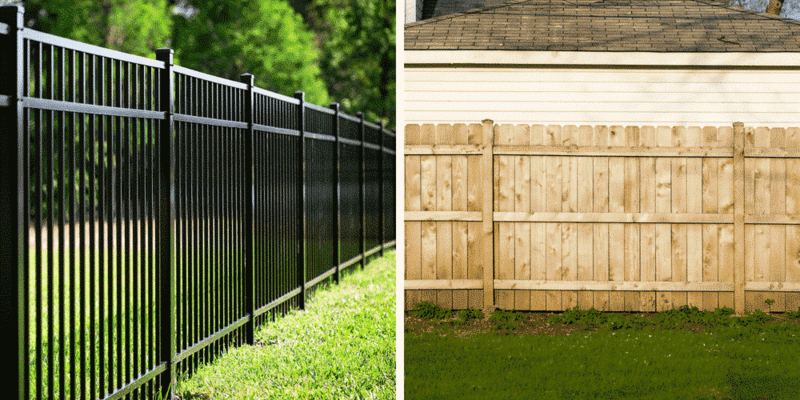 If you’ve been looking for vinyl fencing for your home or business, you’ve probably run across the Certainteed brand name. 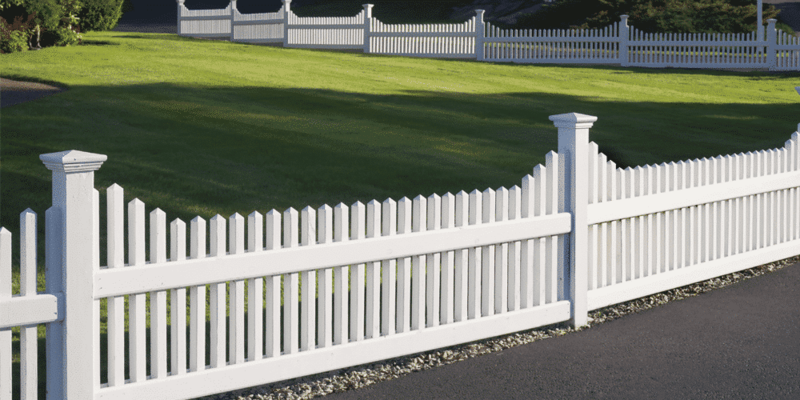 Certainteed Vinyl Fences are made to replicate the look of wooden fences of various styles; their fences look like more traditional posts, panels, and/or latticework, depending on the style you choose. The overall effect is to add security and privacy for your property while adding eye-catching style. 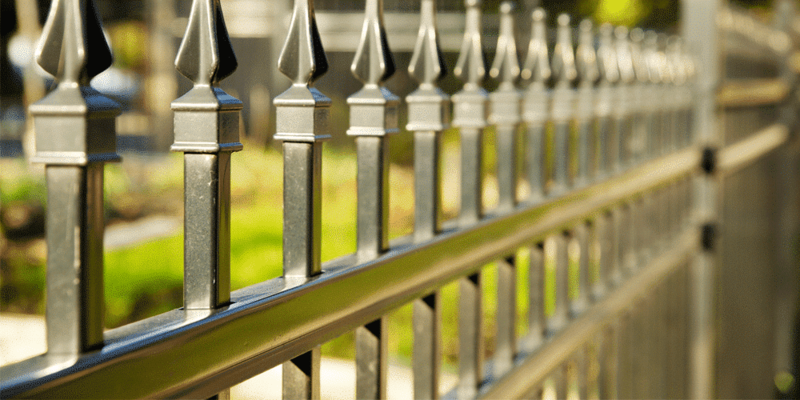 When a business owner thinks about the need for a fence, their thoughts often go to one of two extremes: Either ornamental fences (think aluminum, steel, and wrought iron) or else cheaper chain link. But there is an option that is cost effective and pleasant looking, with the added bonus of enhancing your property’s security: A commercial vinyl fence. Are you the owner or manager or a restaurant or bar? If so, you know how important the right atmosphere is for making your customers feel at ease. This goes not only for the inside of your establishment, but for the outside as well. This is where a restaurant patio fence or outdoor cafe fence comes in. 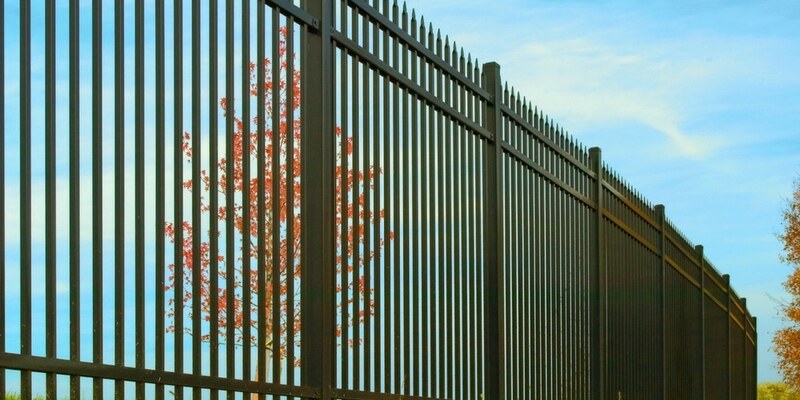 Is A Commercial Privacy Fence The Answer For Your Business? If you run a solid business but find that your outdoor space is lacking something, a commercial privacy fence might just be what your need. A commercial grade privacy fence (or simply commercial privacy fence) is a fence designed to enhance the privacy and security of an outdoor space. Because they are used for restaurants, offices, condominiums, and similar businesses, they are built to be sturdy yet attractive. If your business has been scouring the internet for “the best commercial fence company near me”… look no further. 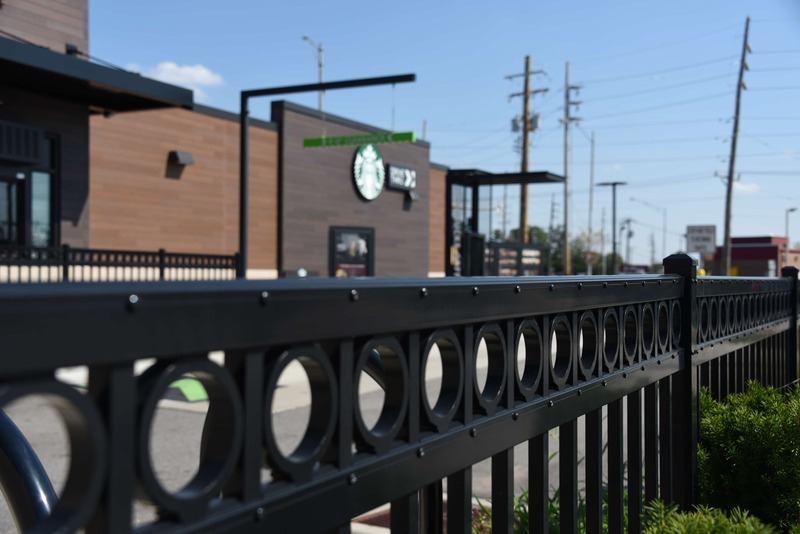 Many businesses in the St. Louis area, from O’Fallon to Perryville, Pacific to Edwardsville, have turned to Elite brand fencing for their commercial fencing needs. Looking for local experts in commercial fencing? You’ve come to the right place. 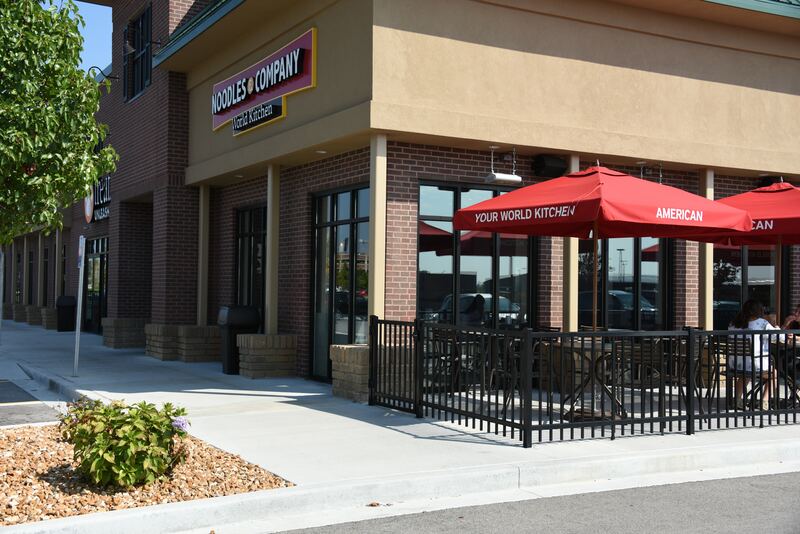 We are St. Louis’s trusted source for commercial fencing and gates, and our experts are ready to answer your questions about securing your commercial property. 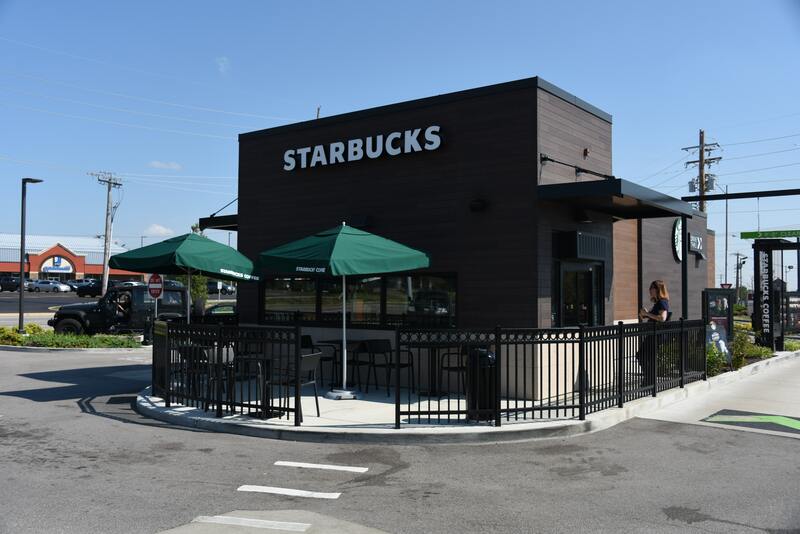 If you have a storefront or other public-facing business, the exterior is the first thing customers will see–including the fence. If you want to put your best foot forward, you’ll want to invest in quality fencing from a commercial fence supply company you can trust. If you’re reading this, you’ve taken a step in the right direction. 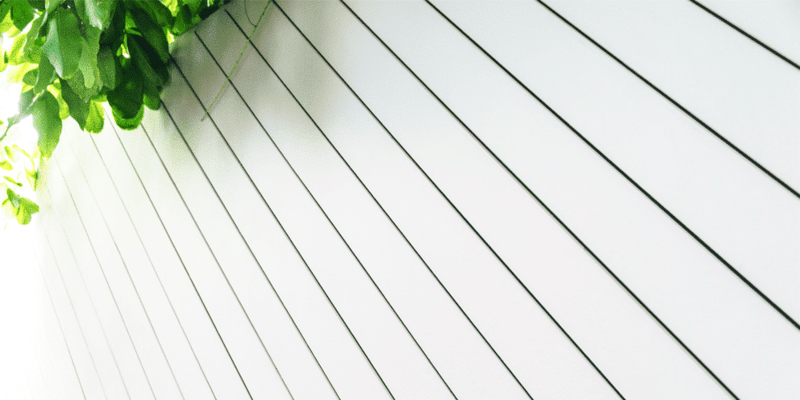 Maintenance Free Outdoor Solutions offers a number of top-notch products, installed by our commercial fence supply experts. 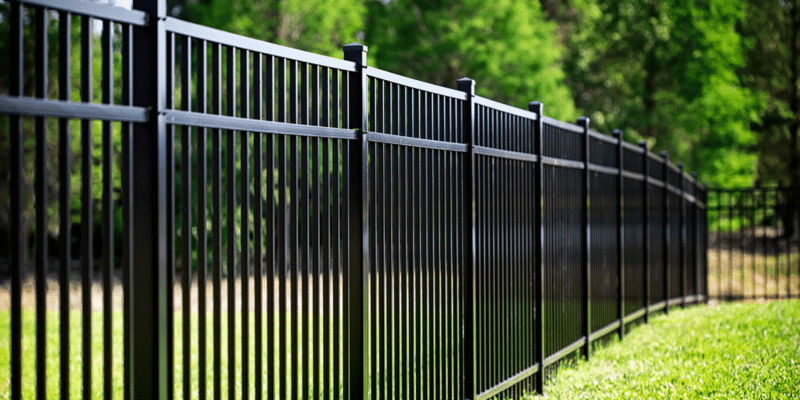 And we specialize in fencing products that are high durability and low maintenance– made from materials like high-quality vinyl, aluminum, steel, and faux stone– so you can get the most return out of your investment. 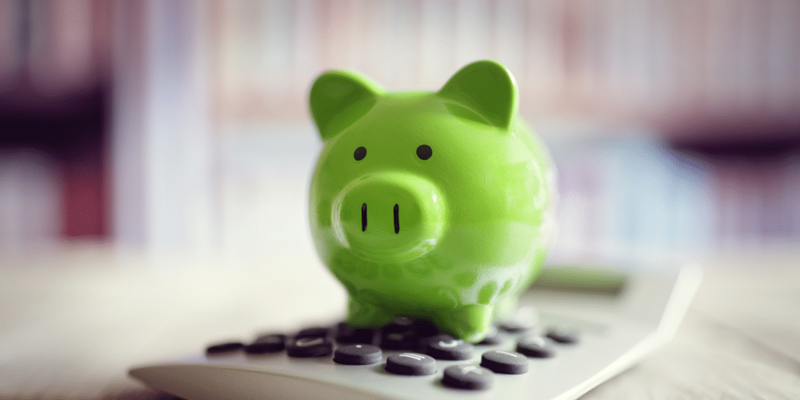 If you own and/or operate a business or storefront, you already know that your building, lot, and facilities are a large part of your business’s total capital value. How can you increase that value without a huge outlay of capital or disrupting business operations? One of the easiest ways is to invest in better fencing, of course. 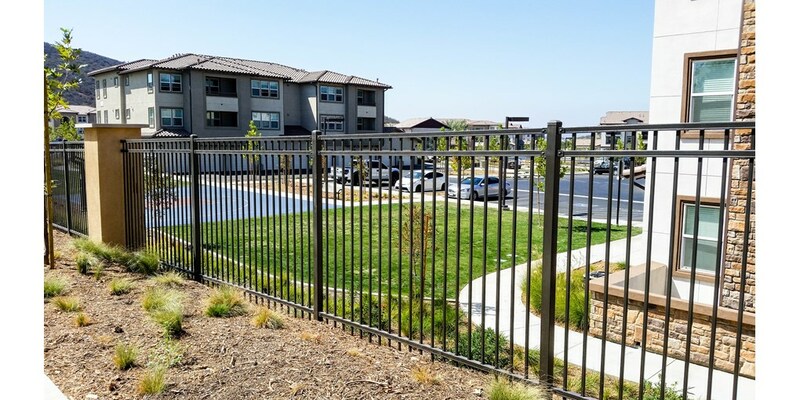 Commercial steel fencing can create a safe space around your property while improving the overall look. If you have a commercial property—say an office, store, or restaurant—you want that property to be safe, attractive, and able to control the flow of people into and out of your business. 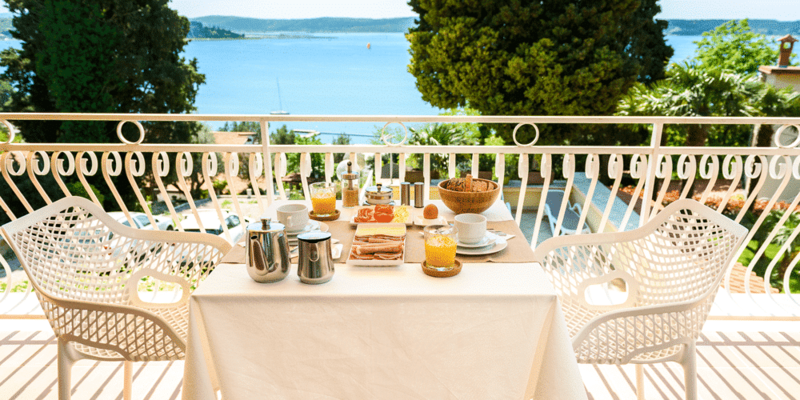 In other words, you need a durable, high-quality fence or railing installed. 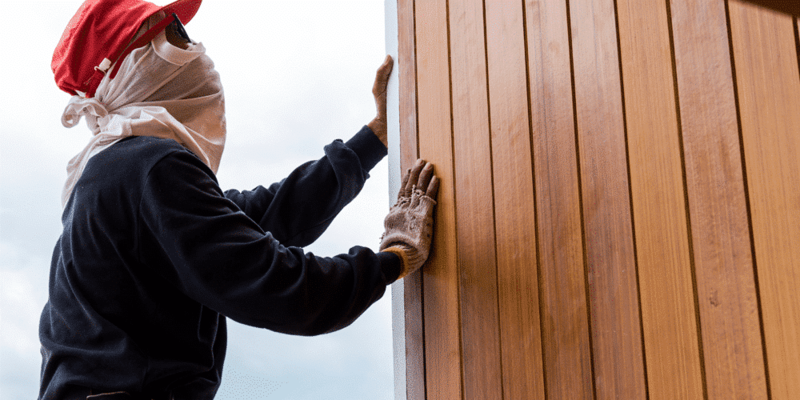 But not all commercial fence companies are the same: Too many cut corners by hiring inexperienced labor or by using brands and materials that are not high-quality. In addition, some companies may only offer fencing but not railing, which limits your options. 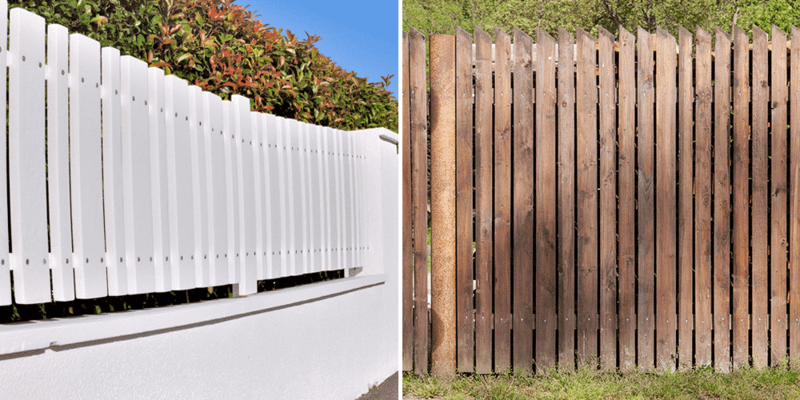 If you are considering a fence for your property, you’ve probably considered traditional wood fencing. But there are also a number of non-wood alternatives. Some of these alternatives are a much better choice when it comes to safety, durability, and pricing. To prove the point, we’re going to do a head-to-head comparison of aluminum vs wood fencing. 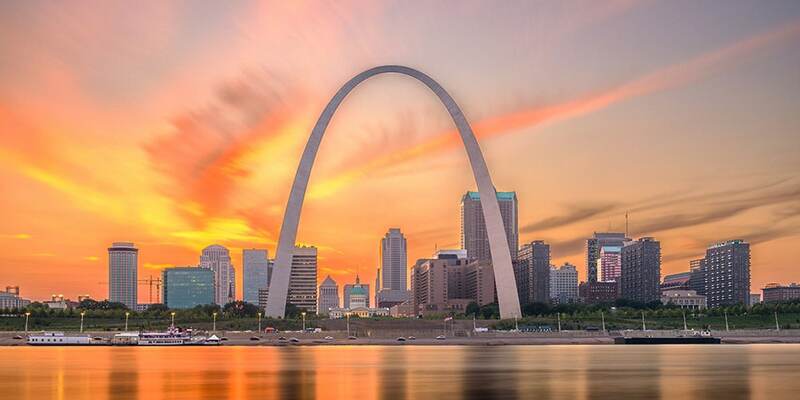 Let’s look at each using the five criteria St. Louis area homeowners tell us they care about most: Cost, maintenance requirements, installation hassle, privacy, and looks/style options. This year, thousands of homeowners will consider fencing as an easy way to improve the value of their house. Business owners, too, need fencing to maintain an inviting and safe space. Just as with any large outdoor project, budget will be a big consideration. This is especially true when it comes to aluminum fencing–but aluminum fence costs aren’t always easy to find, or understand.